Ideal for Social Studies 10, Urban Agriculture, Culinary Programs, English and Math. All Inclusive Program: includes very local farm lunch (that the youth helped harvest) and a herb rub to take home. Cost: $28.00 per student. We love to customize – just ask – other options available (ie BYO lunch). Ask for a quote today. It seems that all the slick, trendy food bloggers have recently discovered the idea of urban agriculture. At a time when most of us strive to reconnect with the source of our food, farmer and local food activist, Tam Andersen has, for the past 35 years, quietly found a way to be sustainable growing delicious food here in the Edmonton region. She has helped foster environmental awareness and ethos as she delves straight to the root of our local food system! She inspires students by taking a global issue to a local level with actions of self-sufficiency – from community supported agriculture to backyard bees. It’s one of the loveliest trends on earth! And our youth need to learn about how they can become part of the movement!  Grade 11 and 12 Food for Thought is a topical program exploring the history of agriculture in Alberta and examines how our personal eating habits affect the natural environment. Students learn that knowledgeable consumers make informed decisions such as supporting local farmers and sustainable agricultural practices. Key Message 1 - Small farms form a vital part of the global agricultural community, yet they are often neglected Smallholders manage over 80 per cent of the world’s estimated 500 million small farms and provide over 80 per cent of the food consumed in a large part of the developing world, contributing significantly to poverty reduction and food security. Key Message 2 - Growth in agricultural production to meet rising global needs using prevailing farming practices is unsustainable – a transformation is needed The demand on agriculture to feed a larger and more urbanized population through global markets over the next 40 years will continue to grow, placing additional pressure on available land and other natural resources.. Sustainable agricultural intensification can be the answer to enhanced food security, environmental protection and poverty reduction. Key Message 3 - You Can Be Involved – do your part! Plant some seeds for flowers for the bees in your neighborhood!